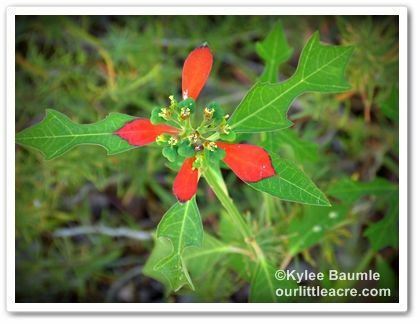 I'm not too young to remember Lady Bird Johnson's "Beautify America" campaign (or Northerners trying to imitate her Southern accent while saying it), but I'll bet my own grown children don't know why they see wildflowers growing along our rural roads and highways. It's become such a part of the United States we know today that most of us take it for granted. But it wasn't always that way. When Lady Bird became our nation's First Lady after the assassination of President Kennedy in 1963, one of her first projects was promoting green space in our nation's capitol. 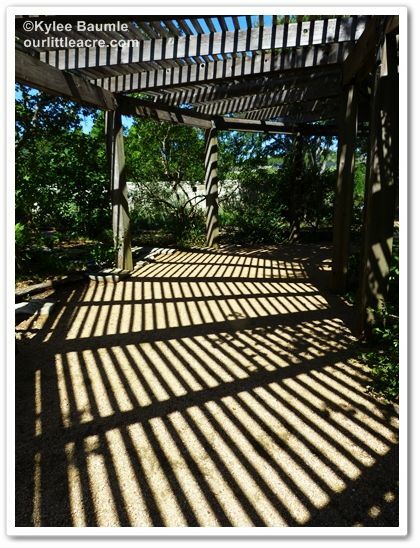 She didn't like the concrete parks nearly devoid of flowers. She went on from there to get behind the Highway Beautification Act of 1965, which limited signage along public highways. 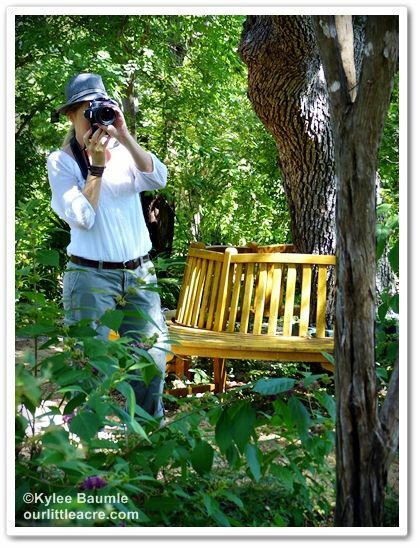 Lady Bird became well known for her efforts, and on her 70th birthday - December 22, 1982 - she and actress Helen Hayes founded the National Wildflower Research Center in Austin, Texas. 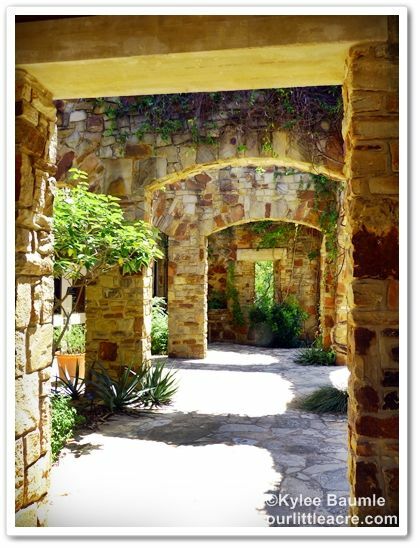 Later renamed the Lady Bird Johnson Wildflower Center because of her financial contributions, today the center is part of the University of Texas at Austin. 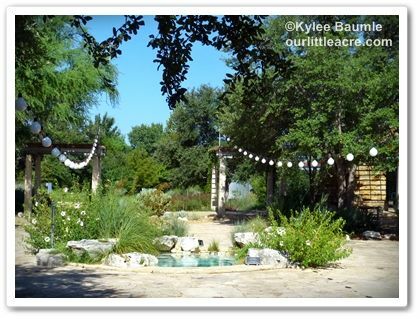 The Center celebrated 30 years in December, when Lady Bird would have been 100 years old. 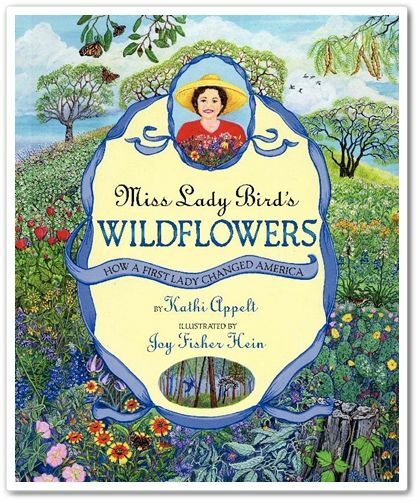 Author Kathi Appelt and illustrator Joy Fisher Hein collaborated to create a beautiful and charming children's book, Miss Lady Bird's Wildflowers: How a First Lady Changed America (Harper Collins Publishers, 2005), targeted for ages 7-10. 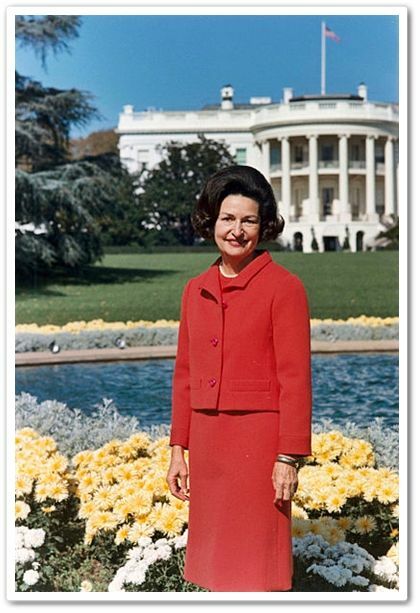 Kids will learn a little bit about Lady Bird Johnson, including how she got her nickname, as well as what led her to lead the way for a more beautiful America. It's important to know the story behind Lady Bird's legacy and this book is a wonderful way to learn about it. There's even an online activity kit that coordinates with the book. 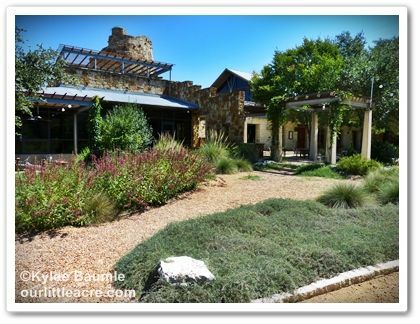 When I visited Jenny Peterson, my co-author of our upcoming book, Indoor Plant Decor: The Design Stylebook for Houseplants, at her home in Austin last July, we took time out to visit the Wildflower Center. It was a very warm day, with a high of 102° F, so we didn't really care that we only had a couple of hours to spend there. 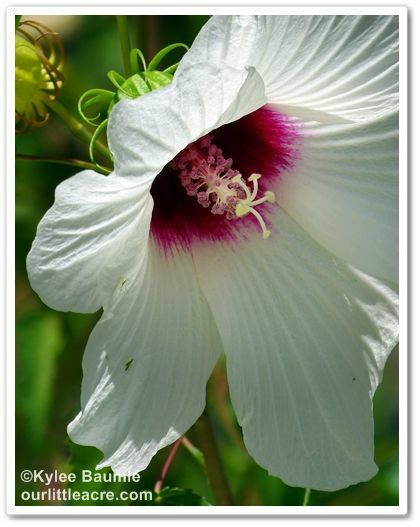 It wasn't necessarily a high bloom time for the Center, but still very beautiful, and I thoroughly enjoyed my time spent there with my good friend. I'd like to make a return visit someday. 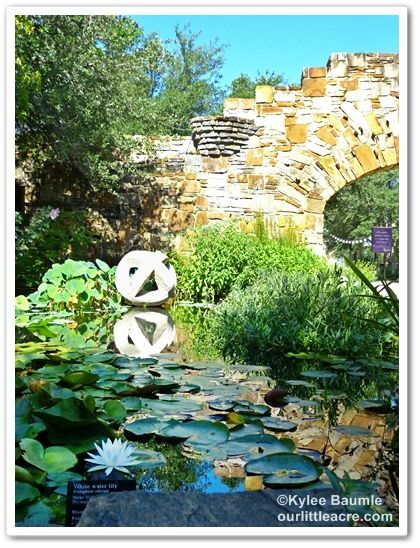 Here are some photos I took during my brief visit at the Wildflower Center. Enjoy! 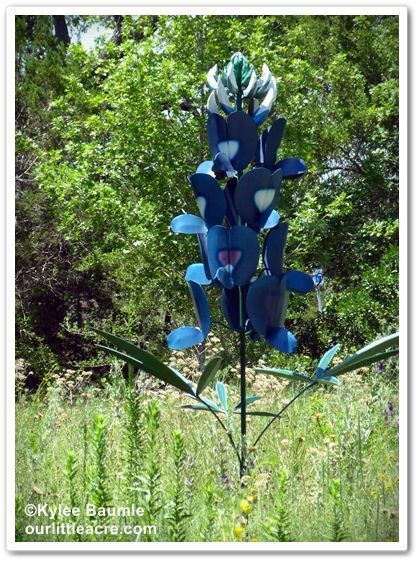 including this native Texas Bluebonnet. Hey, I know that one! 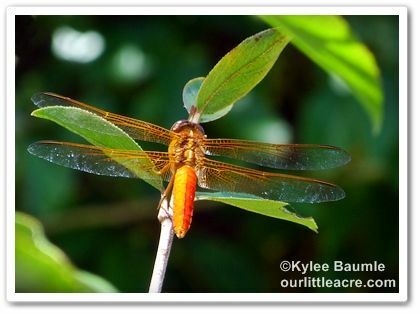 I have one in MY yard! 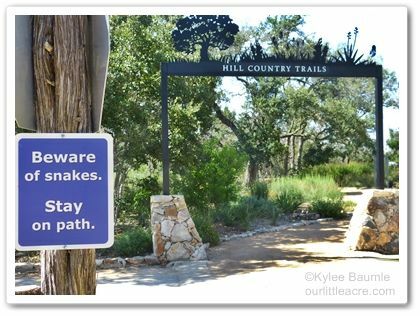 I just hope the snakes know how to read. little of a poinsettia. 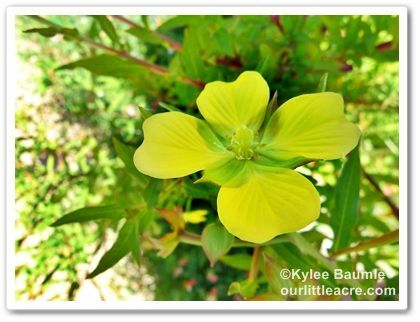 It's Euphorbia cyathophora. Click on photo to enlarge for easier reading. 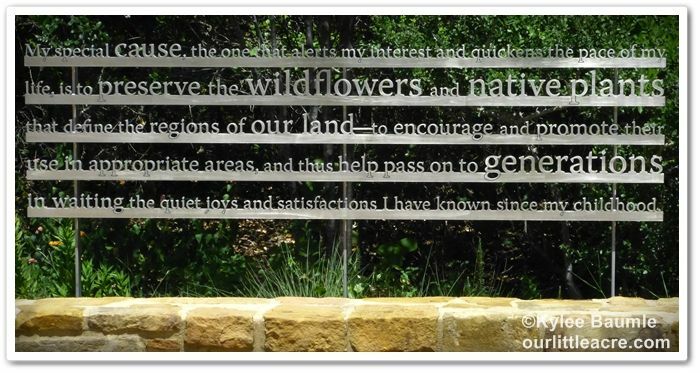 Learn more about the Lady Bird Johnson Wildflower Center by visiting their website. Excellent post. I linked to it in my blog today, actually. Thanks for the tour! 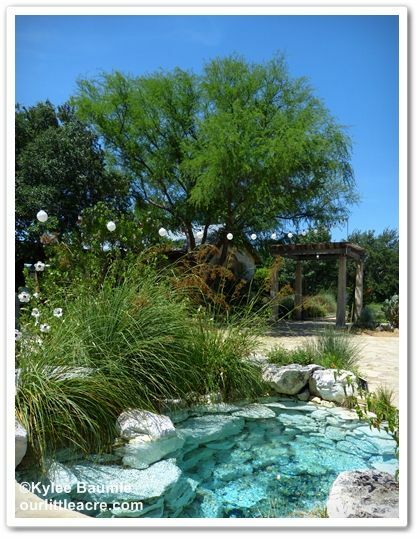 I would love to visit the Wildflower Center in Austin. 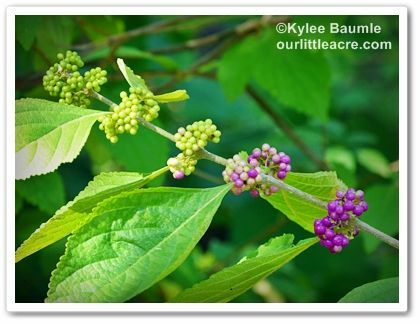 I do use their website all the time to get info on native plants - an excellent resource! 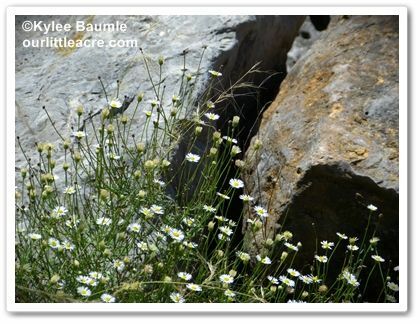 I admire Lady Bird Johnson and her campaign to plant and protect wild flowers. Bless her heart. 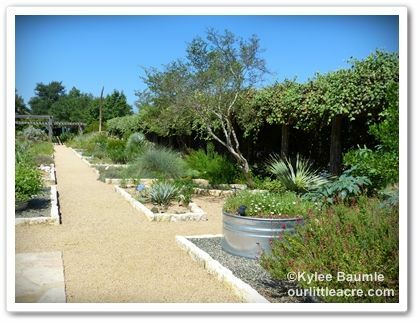 Great shots of one of my favorite gardens, Kylee! 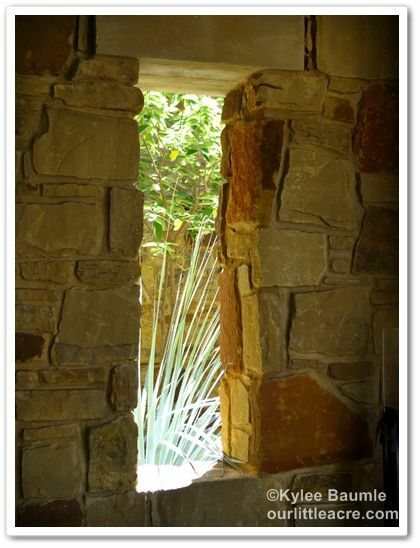 I had to stop and gaze a while at your architectural pics, which are especially nice. 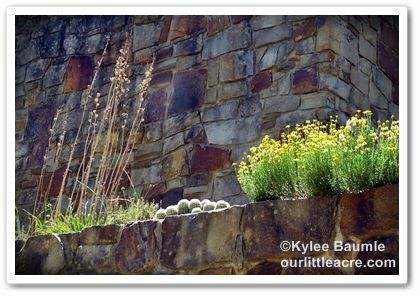 I was just at the Wildflower Center last Wednesday and will have a post -- from a very different season than when you saw it -- up at Digging in a couple of days. A couple of notes: the metal sculptures were part of a temporary display, not a permanent collection. 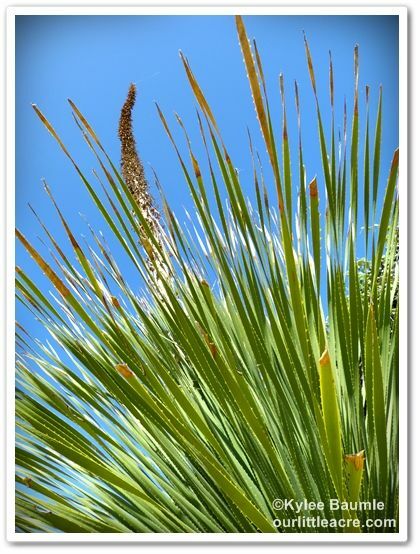 And the horse crippler image is actually of Texas sotol (Dasylirion texana), another beautifully spiny plant. 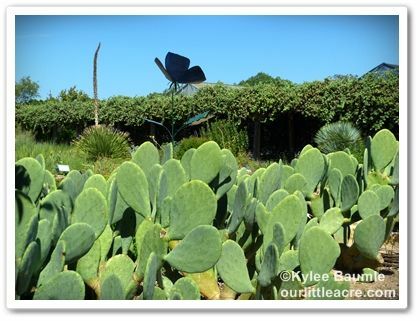 Horse crippler is a ground-level, rounded cactus with long, stiff thorns. 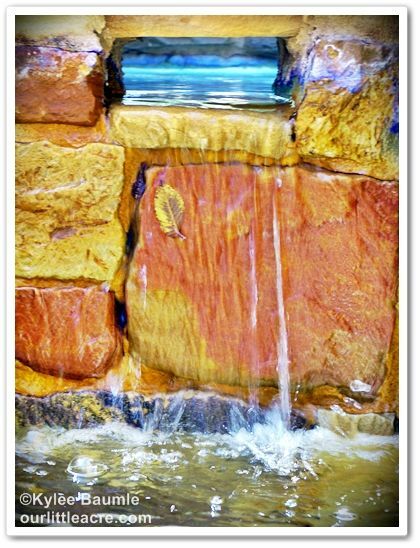 Brent ~ Thank you so much for your appreciation. Your post is just lovely and it was so nice of you! Jason ~ You really need to go there! Terra ~ I always thought what she did was wonderful, too! Pam ~ THANK YOU for the correction! I took photos of the signs by the plants so that I would know, and I guess maybe this one was closer to the wrong sign than the right one! I appreciate you letting me know. Did I get the other ones right? 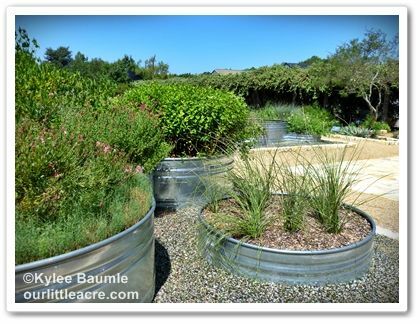 I usually look up the name and compare photos of the plants to confirm, but obviously missed this one! 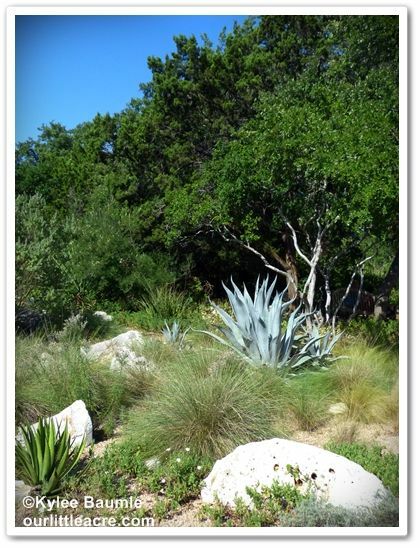 You can tell most of these aren't native plants for me. ;-) I actually thought this plant resembled a Dyckia. 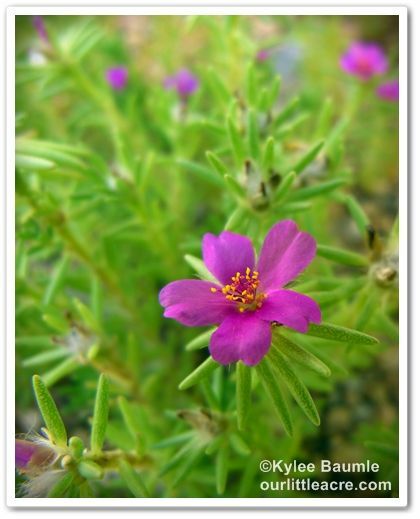 I have one here at home that looks like a small version of that plant! I didn't know that about the metal sculptures. They should stay there, I think! So I suppose those are gone now then? Thanks for taking us to this beautiful place. I have always wanted to go there. 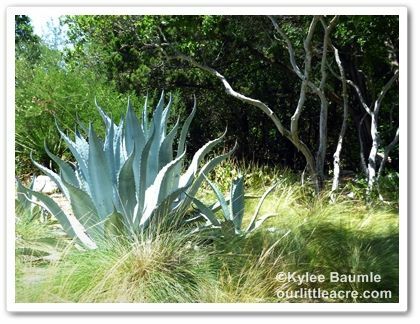 I never tire of seeing those agaves and that we can't grow here. 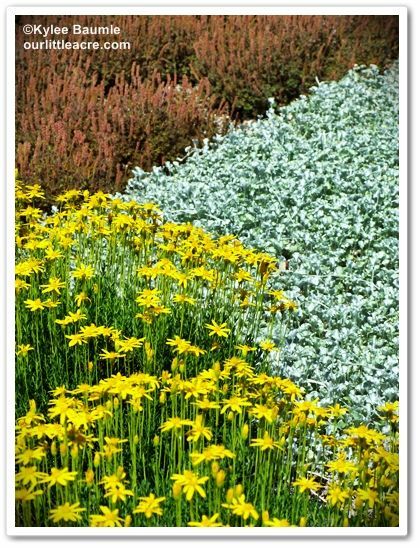 They make such a statement in the garden. I too am old enough to remember Mz Lady Bird and her campaign to beautify America. I do remember Lady Bird. 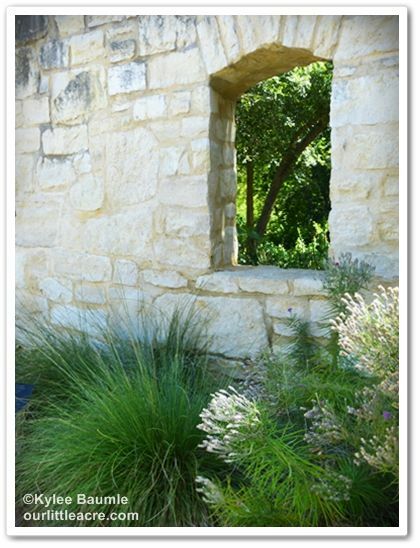 What a wonderful place to visit - and what a foresighted woman Lady Bird was! Loved this post. What a gorgeous place. I love escaping into your photo tours. I feel like I've been on a day trip! 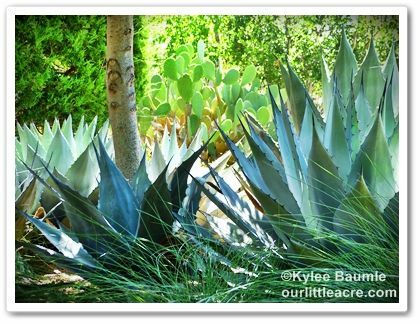 Lisa ~ I'm right with you on the agaves. I fell in love with them from the first time I saw them on Pam's blog. I have a rather large one that I haul in and out every winter. It's worth it! Lea ~ Thanks for coming along, Lea! 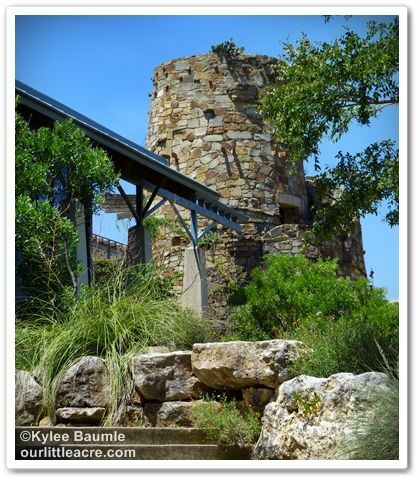 Nutty Gnome ~ I hope you can visit the Wildflower Center someday! Amy ~ Thanks, Amy! It truly is gorgeous and so different from what we have here in Ohio, which just adds to the enjoyment! 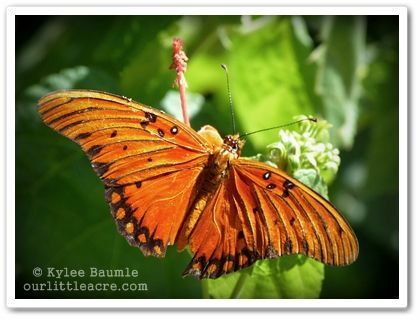 Hi Kylee, It would be nice to be remembered for promoting green spaces and for helping to start a wildflower center. The book sounds wonderful. I wish there were more books of this kind. 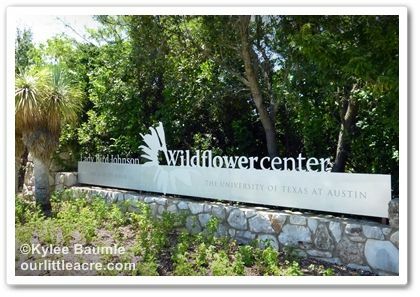 Thanks for the tour of the wildflower center. I'd love to visit it someday, although perhaps on a cooler afternoon.